Bethlehem torches, (bench burners), are surface-mixing, so you'll never experience explosive “flashbacks” that plague torches which pre-mix gases! 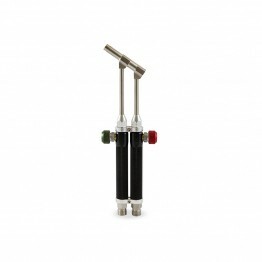 They use thin-walled tubing that allows for a more complete mixture of gases at the torch face. This means more complete combustion of fuels at a lower pressure. So, you save on gas and oxygen, and have a hotter flame as well. Many burners and torches use high pressures which waste fuel and blow the heat past the glass. Bethlehem burners mix fuels efficiently at a lower pressure, bathing your work in a penetrating flame. You'll save money on fuel with our torches, and you will actually be able to talk and listen to music while enjoying our whisper-soft flame. Bethlehem Burners will help you maximize the multiple colour effects of borosilicate glass. Their torches are unsurpassed in developing borosilicate's special effects. Whether you need a flame with pinpoint precision, or a soft, bushy flame, you'll have it all with Bethlehem Burners. 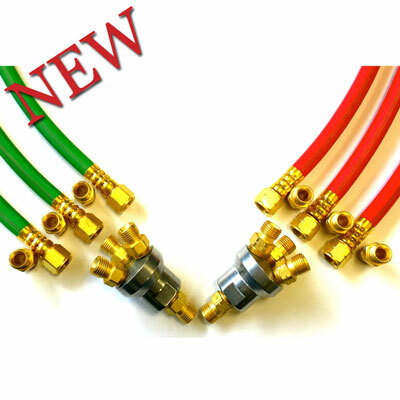 All Bethlehem burners are now supplied from the factory with NO HOSE SETS. All burners sold in North America will be supplied with "B" fittings, unless requested otherwise. All burners sold Internationally will be supplied with "Barbed fittings." This means, that depending on what you already have, you may require additional hoses and/or fittings. 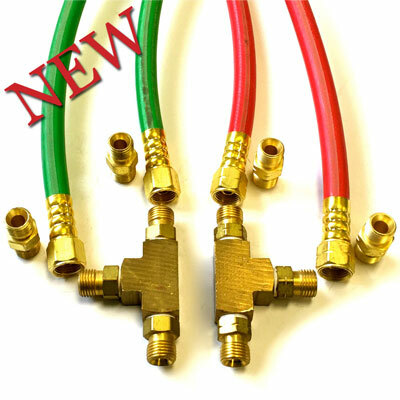 We have hose kits to fit the Bravo, Champion & Grand burners. These are listed below. BETHLEHEM HOSE KIT - "BARBED HOSE END"